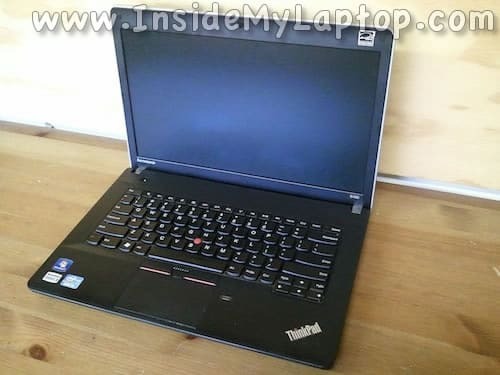 In this guide I’ll be taking apart a Lenovo ThinkPad Edge E430. 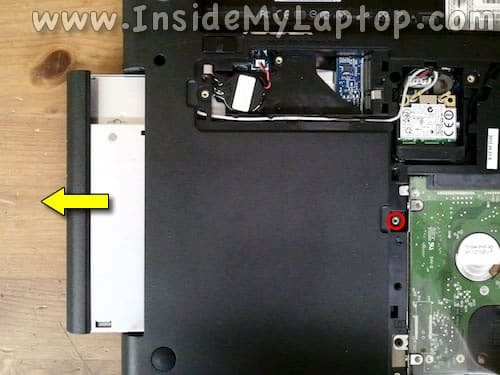 I’ll show how to access main internal components (steps 1-11 ) and remove the keyboard (steps 12-18). 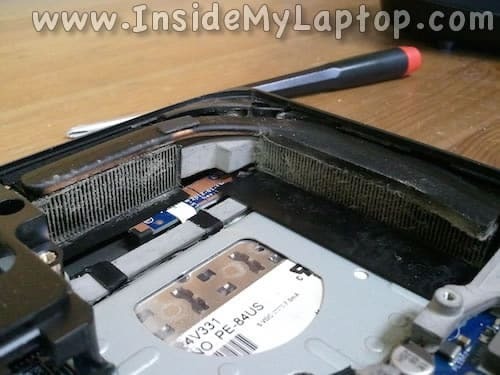 As always, make sure the laptop is turned off before you start taking it apart. Loosen screws securing two service covers on the bottom and remove both covers. 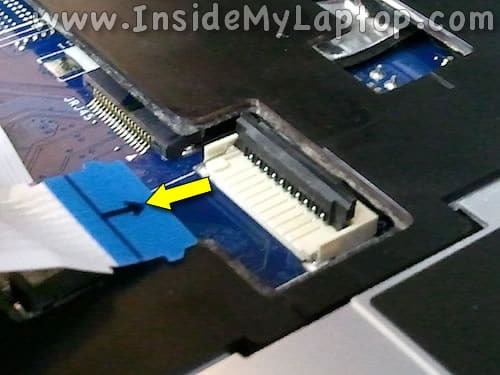 Pull the optical drive to the left to disconnect it from the motherboard and remove it. 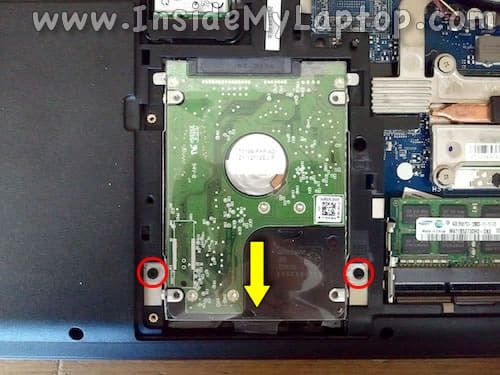 Lenovo ThinkPad Edge E430 has a regular 2.5″ SATA hard drive installed. It can be easily replaced with SSD. 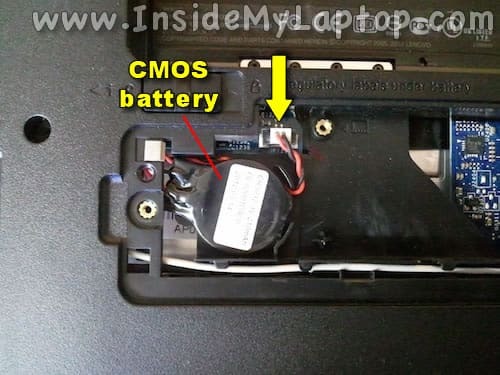 The CMOS battery can be easily disconnected and replaced. 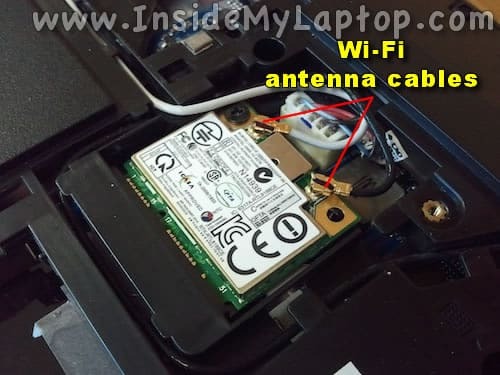 In order to remove the wireless card it’s necessary to disconnect two antenna cables. Simply grab the gold connector on the end of the antenna cable and lift it up. 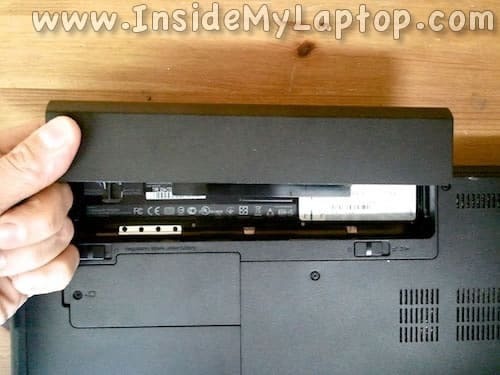 After both antenna cables disconnected you’ll have to remove one screw securing the wireless card and pull the card from the slot. 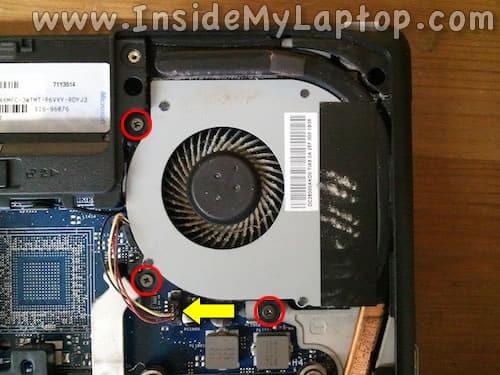 The cooling fan secured by three screws. 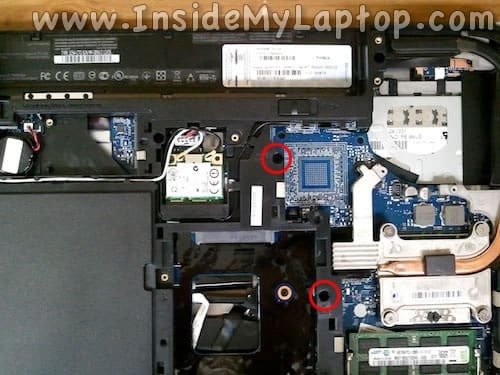 If you are replacing the fan you’ll have to remove these screws and unplug the fan cable from the motherboard. 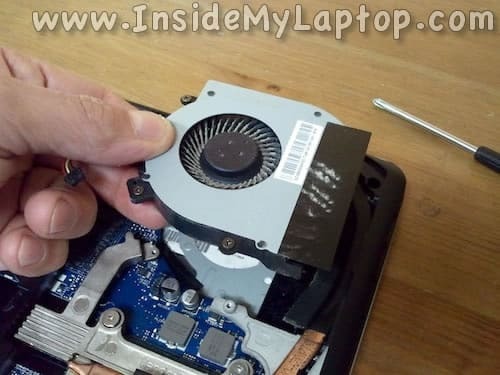 After that you can lift up and remove the fan. When the cooling fan removed, you can clean up the heatsink from dust. Now we are going to remove the keyboard. 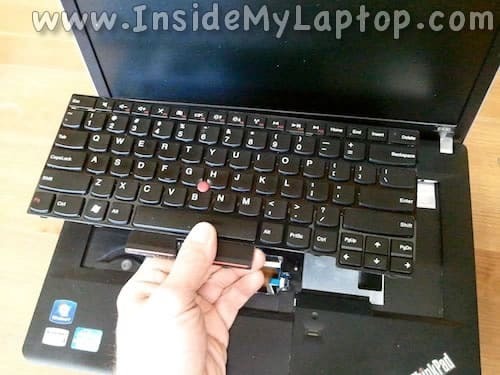 It’s not necessary to go though steps 3-11 in order to remove the keyboard. 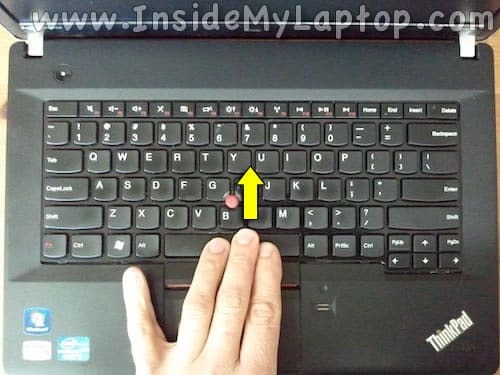 Slide the keyboard about 2-3 millimeters towards the display so there is a gap between the bottom side of the keyboard and palm rest assembly. 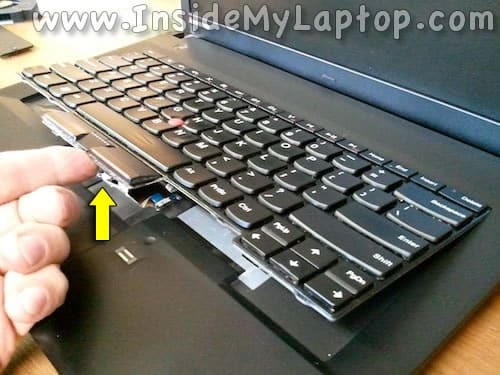 Start separating the keyboard from the top cover. 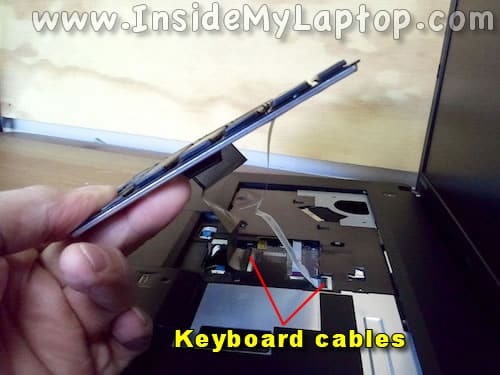 Be careful, the keyboard cables still connected to the motherboard. 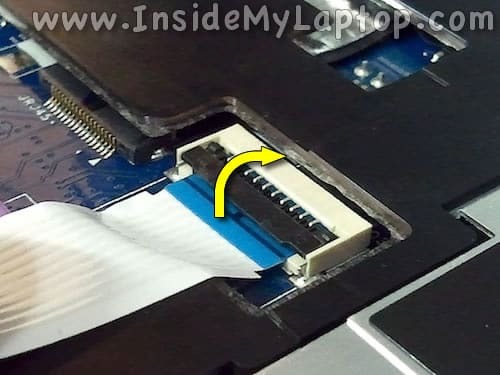 You’ll have to disconnect both cable from the motherboard as it shown in steps 16-17. Here’s how to unlock the cable connector. Carefully lift up the brown retainer using your fingernail. The cable retainer will open up at a 90 degree angle. Now you should be able to remove the keyboard completely. 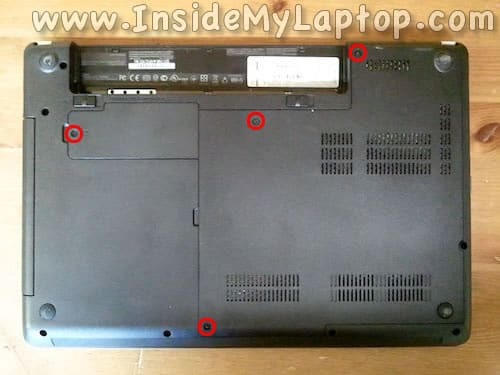 Please let me share some ideas about disassembling lenovo e49.which i have learned by myself.